Below you will find a listing of homes currently for sale in the Magnolia Place sub-division of South-East Durham, North Carolina. Homes in Magnolia Place were originally constructed between 2000 and 2004 by Centex Homes; and non-special (i.e. not bank-owned) home prices in Magnolia Place typically range between approximately (2 years to June 2016): $212,000 to $285,000 – with an average of less than 30 days on market. 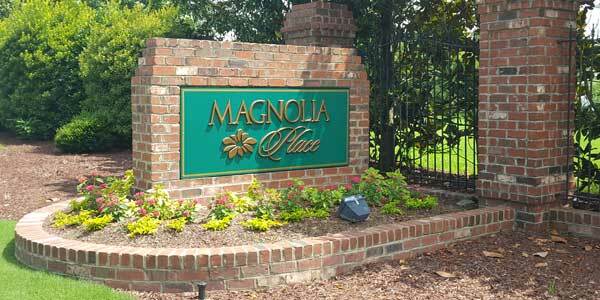 Magnolia Place has a Home Owner's Association with annual HOA dues of approximately (2016): $435. The school zones are (2016)... Elementary: Bethesda; Middle: Lowes Grove; High: Hillside – with several Private and Charter School options nearby. Magnolia Place features a neighborhood play ground, swimming pool, and is conveniently located near: RTP; Brier Creek; I-540; I-40; HWY-70; HWY-147 (Durham Freeway); Duke; UNC; etc... Plus, it's about as close to Raleigh as you can get and still be in Durham.